Mountain biking app with offline navigation to help keep you on the trail even the most remote areas. Use Gaia GPS to plan your next trail day with cycling specific maps, tracking your stats, and offline navigation. Planning your next mountain biking trip just got easier. 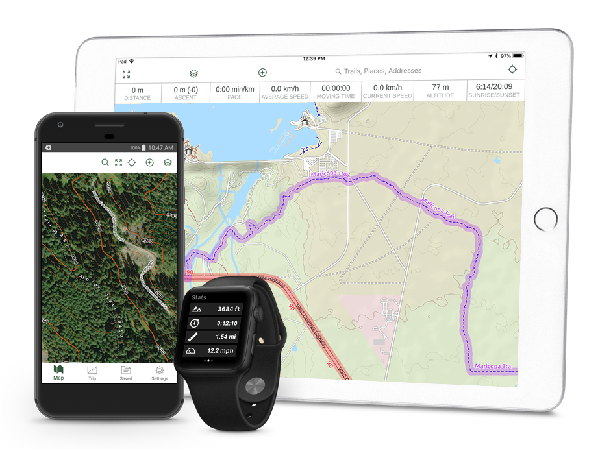 Track your stats and prepare for your next trail day with with specialized biking maps, weather forecasting, contour overlays, and route-planning tools at your fingertips. Easily view mountain biking trails on the OpenCycleMap - use the Snap-to-Trails tool to quickly plot routes for the next trail day, then download routes and maps for offline use. Get a better idea of the terrain ahead and plan your water and calorie needs for each day's ride by overlaying contours lines atop your favorite base maps. Know what to pack for the ride ahead with precipitation forecasting and maps of timber cuts, burn zones, and current wildfire activity.